Blepharoplasty or eyelid surgery is a type of cosmetic surgery that alters the appearances of the upper eyelids, lower eyelids or both. Blepharoplasty is a surgical procedure, which means that incisions will be made to the skin to revitalise the eyelids. For upper blepharoplasty, incisions will be made to the upper eyelid skin folds and outwards from the eye. This will mean that any excess fat and skin can be removed. Scars should be minimal and hidden with the natural folds of the eye. For lower blepharoplasty, the incision will be made below the lower eyelashes to remove any loose skin. Again, any scarring from the incisions should be hidden from view. Upper and lower blepharoplasty typically take 1.5 hours to complete. Upper or lower eyelid surgery alone can be done in less than one hour. Does the Blepharoplasty Procedure Hurt? Eyelid surgery is performed under sedation or twilight sleep and using anaesthetic to number the eyelid. This will make sure that patients are as comfortable as possible during the procedure and do not feel any pain. Are there any Side Effects from the Blepharoplasty Procedure? It is normal to experience some swelling and bruising after the blepharoplasty procedure. But these side effects will fade in the days after your treatment. Post-operative antibiotics and eye drops may be prescribed if they are needed. Some patients may experience reduced eyesight during the first few days after receiving treatment. This should not alarm patients and this will subside within a few more days as the swelling reduces. Is there any Downtime Associated with the Blepharoplasty Procedure? The recovery from blepharoplasty is around one week. The upper blepharoplasty sutures may be absorbable or ones that are removed between five to seven days. With the lower blepharoplasty there are no lower eyelid stitches to be removed. Patients are advised to limit their activities for the first week after the procedure, which means you may have to take seven days off work for recovery. Strenuous activity may be resumed after one month. In addition, avoiding sun exposure in the first few weeks will aid recovery, since the skin will be sensitive. After a few months of the procedure, your eyes will appear less tired, more youthful and attractive. Who are Suitable Candidates for the Blepharoplasty Procedure? If there are bags under your eyes and excess skin on the upper eyelids, you may be a candidate for eyelid surgery. Remember the eyes are the first to show signs of aging. For women in their thirties, the first sign may be excess skin of the upper eyelids that make it difficult to apply eyelid makeup. For men, it is a general tired look to the eyes that may indicate a blepharoplasty procedure. If you would like to find out more about upper and lower blepharoplasty and whether this is the right option for you, you can contact us today to arrange a consultation with Dr Alia Nasser. How do I know if I’m a candidate for Eyelid Surgery Procedure? Take a look at yourself in the mirror in the early afternoon, if there are bags under your eyes and excess skin of the upper eyelids, you may be a candidate for Eyelid Surgery. Remember the eyes are the first to show signs of ageing. For women in their thirties, the first sign may be excess skin of the upper eyelids that make it difficult to apply eyelid makeup. For men, it’s a general tired look to the eyes that may indicate a blepharoplasty procedure. Use your consultation as a learning experience. The consultation will be a time when you meet us and hear an evaluation of your appearance and in this case, the eyelid appearance. During the consultation you will be asked general questions regarding your overall health, allergies to medications and any previous surgeries including the eyelids. You will be evaluated to see if you are a suitable candidate for the blepharoplasty procedure. We feel that is is extremely important for you to be at ease and be yourself during your consultation. How long does it take to perform an Eyelid Surgery Procedure? Upper and lower blepharoplasty typically takes 1 ½ hours to complete. Upper or lower eyelid surgery alone can be done in less than 1 hour. What type of Anaesthesia is used for an Eyelid Surgery Procedure? Eyelid surgery is performed under sedation or twilight sleep and using local anaesthetic to numb the eyelid. How long is the recovery after an Eyelid Surgery Procedure? The recovery is about 1 week. The upper blepharoplasty sutures may be absorbable or ones that are removed between 5-7 days. With the lower blepharoplasty there are no lower eyelid stitches to be removed. There may be some swelling and bruising after your blepharoplasty and patients are advised to limit their activity for the first week after the blepharoplasty procedure. Strenuous activity may be resumed after 1 month. Post-operative antibiotics and eye drops may be prescribed. What should I expect after my Eyelid Surgery Procedure? Blepharoplasty is designed to make the eyes appear less tired, more youthful and attractive. What is the cost of an Eyelid Surgery Procedure? 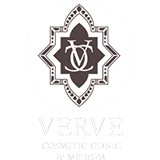 Blepharoplasty procedures are performed on-site at Verve Cosmetic Clinic.